The USBS vault truck allows for the speeding up of opening and closing procedures and assures that all cash trays have been removed at the close of business. without the need for lids or secondary locks. 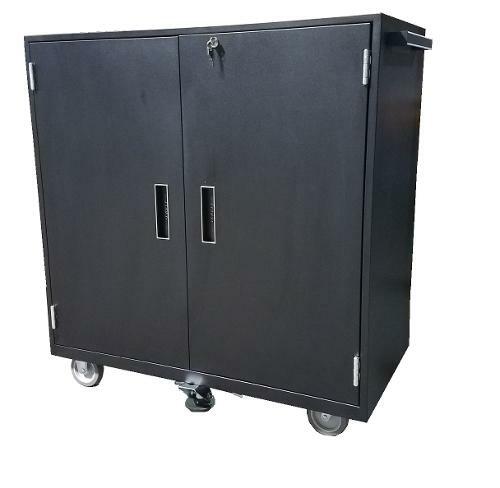 This coin truck comes with large locking storage compartment and 2 adjustable shelves. Rides on 5" casters: 2 fixed and 2 swivel. Dimensions: 38-1/2" H x 36" W x 19" D. Wt. 250 lbs. Choice of 9 finish colors. IMAGES APPROXIMATE ACTUAL COATING COLORS. Inner Vault Coin Truck comes with large locking storage compartment and 2 adjustable shelves. Rides on 5" casters: 2 fixed and 2 swivel. Dimensions: 38-1/2" H x 36" W x 19" D. Wt. 250 lbs. Choice of 9 finish colors.